Daveswordsofwisdom.com: Trusting those in your life. Trusting those in your life. 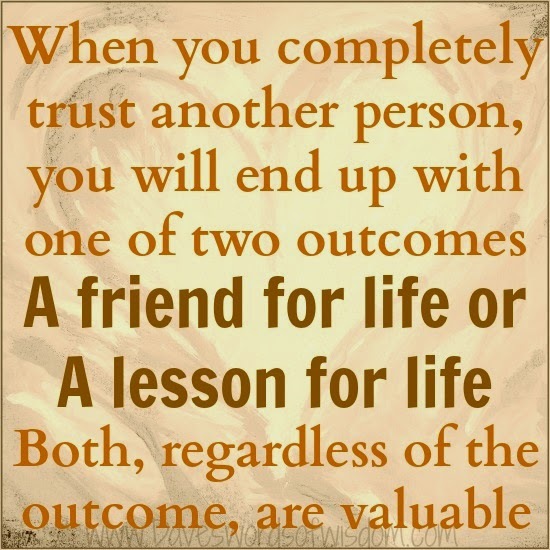 When you completely trust another person, you will end up with one of two outcomes. A friend for life or a lesson in life.